Clear blue waters, calm seas, and white sand beaches are some of the many reasons that make the British Virgin Islands an ideal charter vacation destination. As we all know by now, the islands were horrifically damaged by Hurricane Irma in September 2017. Residents lost homes, their source of income, and ultimately, hope when help didn’t arrive soon enough. However, British Virgin islanders persevered, and the islands have come back strong. Although there is still work to do, many restaurants, hotels, and marinas are back up and running and ready to welcome guests, both newbies, and regulars. The largest of the 60 islands as well as home to the capital, Tortola offers beautiful beaches, sheltered harbors and is the perfect jumping off point to the other islands. Smuggler’s Cove offers an idyllic beach with snorkeling right off the coast. There are a couple of low-key bars right on the beach as well, just in case you get a little thirsty. For a little land-based exploration, there is Mount Sage National Park. It is named after the highest peak on the island, which stands at 1,716 feet (523m). There are numerous trails to choose from and beautiful, panoramic views overlooking the other islands. Jost Van Dyke is 3.9 miles by 1.4 miles and has approximately 300 inhabitants. It is within a 30-minute boat ride from St. Thomas and 20 minutes from West End, Tortola. And there is plenty to do here! The Soggy Dollar is one of the most famous bars on the island. A lot of its fame is thanks to the delicious “Painkiller,” a mix of dark rum, cream of coconut, pineapple juice, orange juice and topped with Grenadian nutmeg. The bar’s name was inspired by people swimming ashore and handing over soggy dollars for their beverages. There is, of course, an array of bar food on hand to sop up some of the alcohol. Whether it be at the Soggy Dollar or elsewhere, you have to have a chicken roti while in the BVI! Foxy’s Tamarind Bar is also a must-see and do. Philliciano “Foxy” Callwood is the owner of Foxy’s and founded his empire in the late ’60s. The many regattas and parties (and most of the time a mixture of the two) have made this bar the epicenter of BVI yacht tourism. There are many organized parties and regattas throughout the year. Foxy also offers charters and water taxis between some of the islands. The Bubbly Pool is also a cool spot to visit on the island. Located on the North shore of the island, this little rock enclosure makes wave squeeze through a tiny pass into a natural pool, providing a Jacuzzi-like experience. Make sure the wind is coming out of the North, as this will make sure there are plenty of waves creating the bubbly effect. The third largest island in the BVI, Virgin Gorda‘s shape reminded Christopher Columbus of a woman reclining, hence its name (“fat virgin” in Spanish). 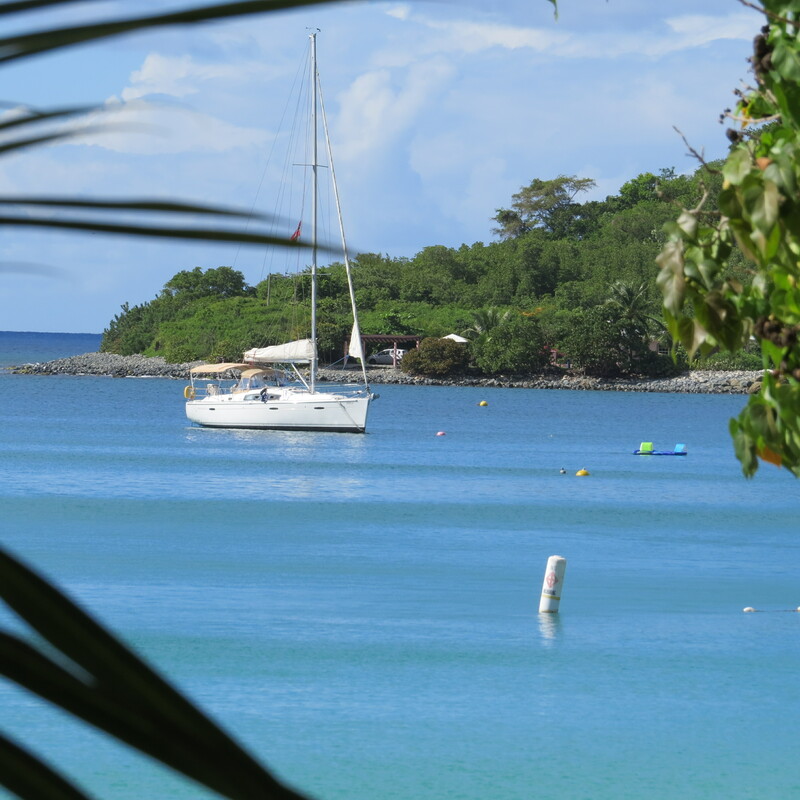 There are many nature sanctuaries and bays to roam and explore, including Mahoe Bay and Savannah Bay. Gorda Peak stands at 1,370 feet above sea level and has panoramic views of the clear waters surrounding the island. The peak overlooks the popular North Sound anchorage and, on a clear day, views of Anegada. Gorda Peak National Park is one of the very few remaining examples of Caribbean dry forest in the region and is home to the world’s smallest lizard, the Virgin Gorda gecko. The Baths are world famous. The large, granite boulders, some 40 feet in diameter, tower over crystal clear pools. The rocks are a result of molten rock seeping up into existing volcanic layers, which were then later eroded away. Weathering created the smooth, round surface. There can be a lot of tourists in the area, but it’s definitely worth a trip. Norman Island is at the southern tip of the British Virgin Island archipelago. It is rumored that it is the island that inspired Robert Louis Stevenson’s pirate novel Treasure Island. Norman Island is uninhabited, save for a few goats, although it was home to the famous Willy T floating bar, before the vessel sunk in Hurricane Irma. The Caves are a series of sea-level caves that you can snorkel inside of as well as along the exterior wall. If you bring a dive light with you into the caves, you can see the incredible colors of the coral and sea life. Make sure to get there early, as charter boats begin to arrive around 10/10: 30 am. The Indians is also another great snorkeling spot just off Pelican Island, which is not far from The Caves. Salt Island is located just under 5 miles southeast of Road Town in Tortola. One of the best dive spots in the BVI is located here, on the wreck of the RMS Rhone. The British mail ship sunk during a storm in October 1867, killing 123 people onboard. Both divers and snorkelers alike can enjoy the many artifacts still present at this site. Parts of the vessel are located at varying depths, so divers of all levels can feel comfortable. Night dives are also offered on the wreck. Guana Island is an 850 acre, private island. It is mostly a nature preserve with beautiful, white sand beaches, but there is also a private resort. A Quaker colony was founded on the island in the 18th century, which lasted about 45 years. While the island is owned privately, the public has access to the beaches. Monkey Point on Guana Island is another great dive and snorkeling spot. Sailing the British Virgin Islands on a crewed yacht is the best way to experience “Nature’s Little Secret” as it is fondly called. Your crew will plan an itinerary to suit your preferences.